Yurcich became one of the hottest names on the coaching hunt in the offseason. This was after announcing that he would not be returning for the next year’s program following the Oklahoma State’s bowl triumph over Missouri. Word on the street was that the Buckeyes, as well as Tennessee, were interested in interested in acquiring the vital services of the experienced offensive coordinator. The reports also indicated that the Volunteers were open to paying Yurcich an annual salary of up to $1 million, which was, however, turned down. In the deal, Mike Yurcich signed a two-year contract worth $950,000 a year. This is a $150,000 dollar raise on his salary in Oklahoma State, where he made $800,000 in his final year. His deal with the Cowboys included a $400,000 buyout if he departed Oklahoma State for a non-collegiate or non-NFL head coach position. The path to one of the top-rated jobs in college football was not the normal one for Mike Yurcich. A native of Ohio, Yurcich was a graduate assistant from 2003 to 2004 under the leadership of coach Gerry DiNardo in Indiana. He took his first full-time assignment with second Division program, Edinboro. At first, he was the quarterbacks and wide receivers coach before taking up the offensive coordinator title in 2006. Yurcich stayed in Pennsylvania till 2011 when he moved to Division II program in Shippensburg, to become the offensive coordinator. He remained there for a pair of seasons before getting hired by Mike Gundy and Oklahoma State. 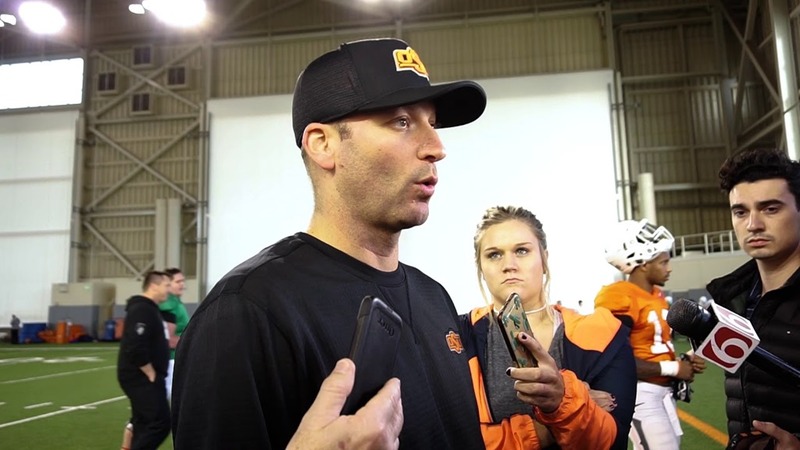 Among the names that may replace coach Yurcich at Oklahoma State are receiver coach Kasey Dunn and coach Josh Henson, the offensive coordinator for Missouri between 2013 and 2015. Other hopefuls include Marcus Arroyo of Oregon, Todd Monken, former offensive coordinator at Tampa Bay Buccaneers, and Graham Harrell of North Texas.